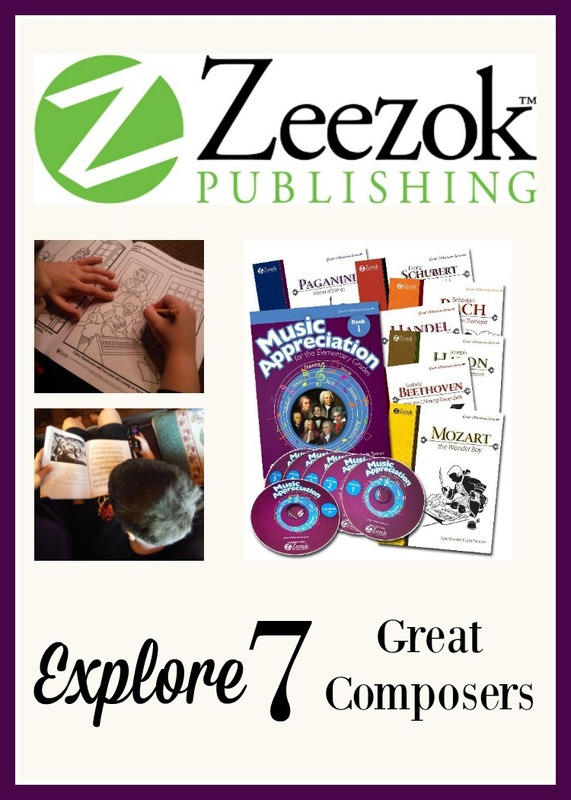 Explore 7 Great Composers with Zeezok’s Music Appreciation was made possible with a bottle of Music Appreciation: Book 1 for the Elementary Grades from Zeezok Publishing LLC for review as part of the Schoolhouse Review Crew. For this review, we focused upon Ludwig van Beethoven. Our family loves music. 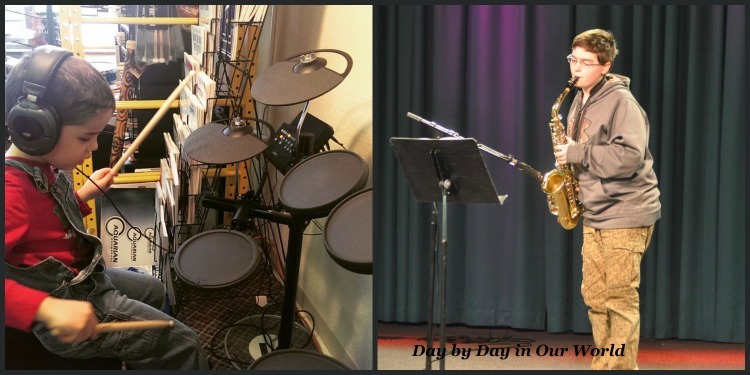 Not just listening to great songs, but also embracing the act of creating music using a variety of instruments. At this point, I have a son who owns 3 styles of guitar that he learning through chord charts and videos, a son who has his grandfather’s accordion which he is dabbling with at times, another who plays both clarinet and saxophone as well as being able to pick out melody lines on the piano, and the youngest who started drum lessons this spring to need a break for his desire and attention spans to get into sync. And, I’ve played piano for years as well as been an active participant in choirs and music ministry. When it comes to being a better musician, I truly believe you need to learn about those GREAT musicians who came before you. Not just listen to their more familiar works, but to also learn more about them as individuals and musicians. Having this bias is what had me over the moon with regards to our family’s opportunity to review the music appreciation program from Zeezok. If you took a cute story about a musician from long ago and mixed it listening to their music along with other activities, then you would end up with Zeezok’s music appreciation program. 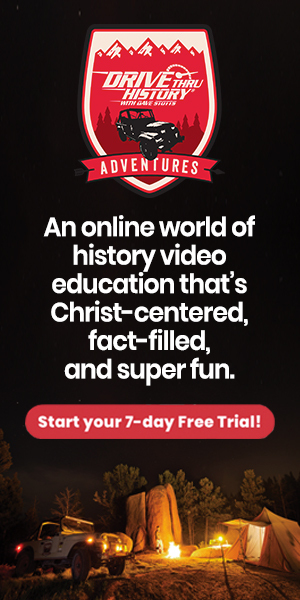 In the course of a year, your child will walk through the lives of 7 great composers: Bach, Handel, Haydn, Mozart, Beethoven, Paganini,and Schubert. These men, who lived between the years of 1685 and 1828, truly helped to define and shape western music. This program consists of 7 biographies about these composers with the facts thoroughly checked to paint as accurate a picture of their childhood and adult lives as is possible. Sprinkled throughout the pages are illustrations which help to bring their stories to life. You also find the actual music for many of their compositions added to the story line when it was composed. Going alongside the biographies is a set of CDs containing all of the music featured in the biographies. A student activity book presents additional facts while working through a variety of activities which span a cross-section of disciplines. 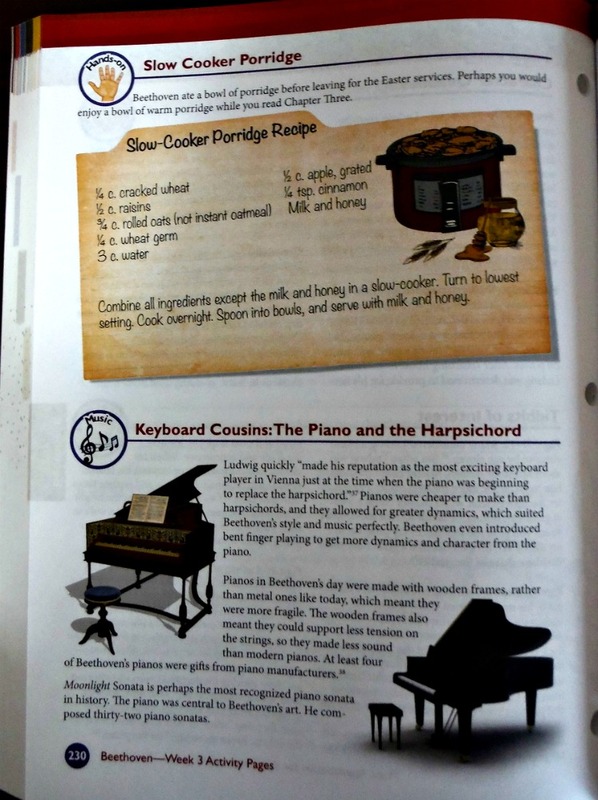 There’s even a recipe per composer to make in your home! Additionally, we were sent the lapbooking component on CD. Each composer gets their own lapbook. 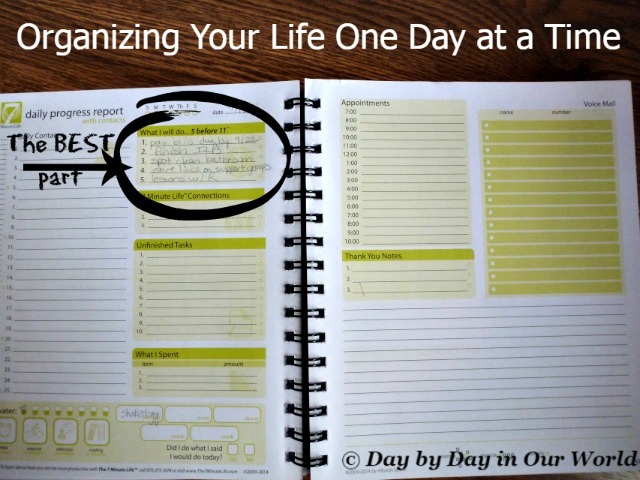 Unlike some lapbooks, this one does not involve a lot of writing on the part of the student. It IS created for color printing, though, so we had to send those pages out to a local store as our color printer had just fritzed out and been replaced with a B&W laser one instead. 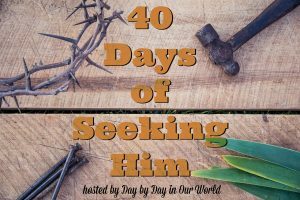 As much as my boys adore music, both playing and listening to it, we started off with a little bit of a negative attitude. We’d agreed to have our primary focus be on the famous composer, Ludwig van Beethoven. They are familiar with some of his pieces, such as Fur Elise, and were looking forward to hearing more from him. I sat down all excited about what we’d be learning together and began reading aloud from the biography. The first chapter had a ton of background from his childhood, but no compositions to have for our listening pleasure. I’d also made the planning mistake of trying to read it all in ONE sitting rather than spreading it out over two days. Had it been just my 7th grader working on this, he would have read the entire chapter in short order to himself. 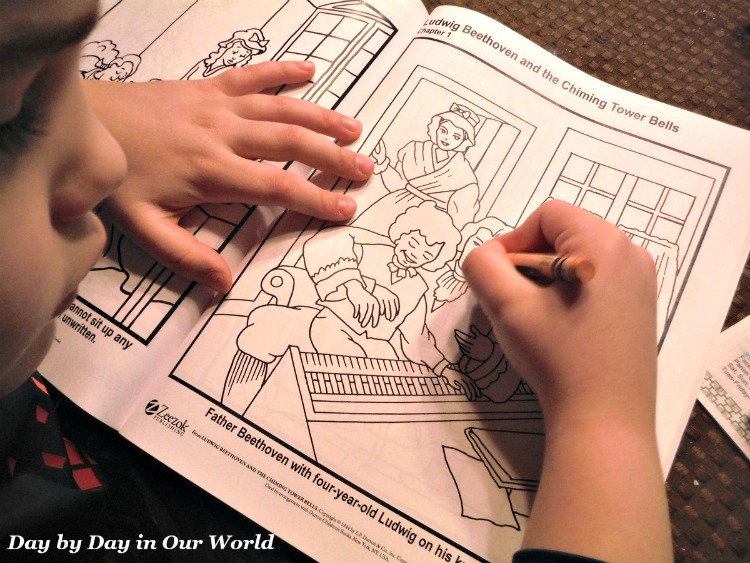 But, I wanted to do it as a family study with me reading aloud with my 6 year-old son able to look at the pictures. Picking the witching hour before fixing dinner probably didn’t help. Now, the boys DID completely grasp (and balk) at how Beethoven had a tutor who would wake him up in the middle of the night to get back to work. They all agreed that while all the work led to an early development of his musical skills, they would NOT want to have me waking them at 2 am to get back to school. Thankfully, the second week had several pieces to break up the biography. 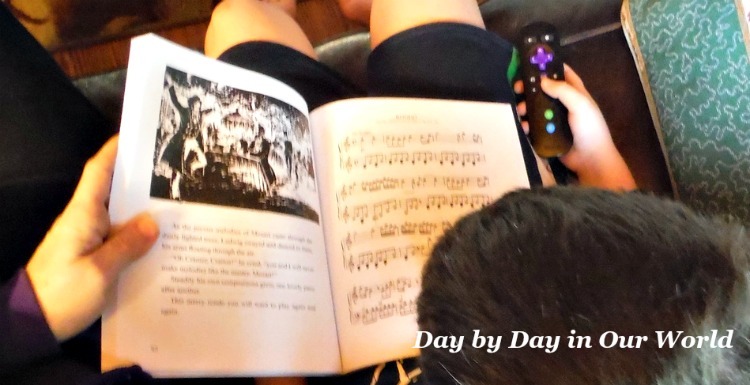 My youngest, who had tried to flee the room the first week, was more eager to see which musical selection would be next in the story, if it would be familiar to him, and if he would like it. Something I did find with this program is that the younger the student in your midst, the longer it will take to get through the material. 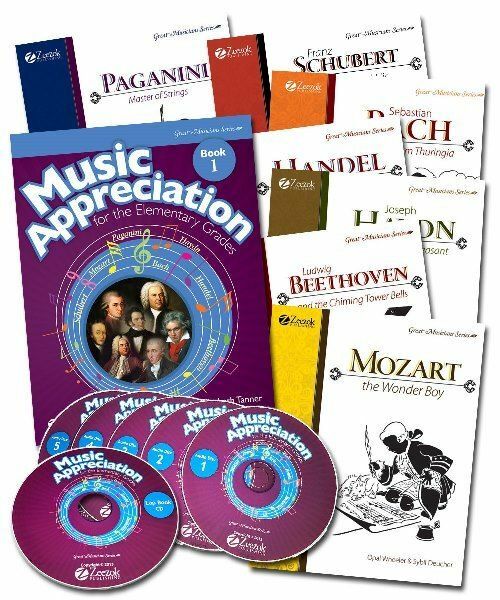 If you have children at the lower end of the elementary range, then this music appreciation program could be spread over 2 years. And, for my middle school son, he’s elected to use the written music in the book to play the melody line on his instruments. 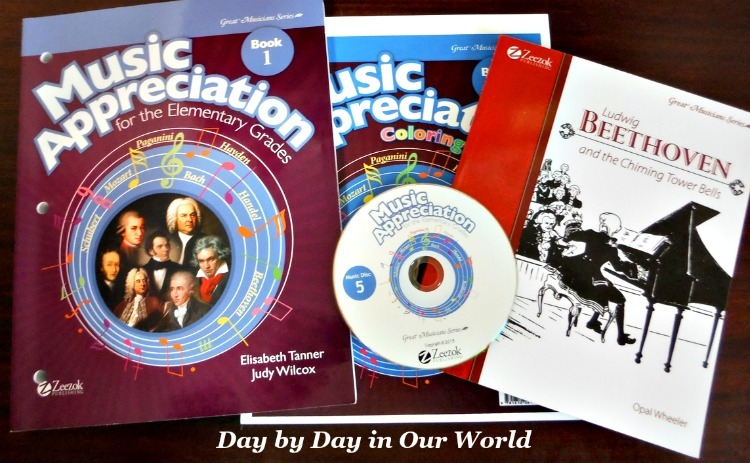 How do you approach music education with elementary students? Do you prefer to work individually with each child or as a family? Don’t just take my word for how we found this to be. 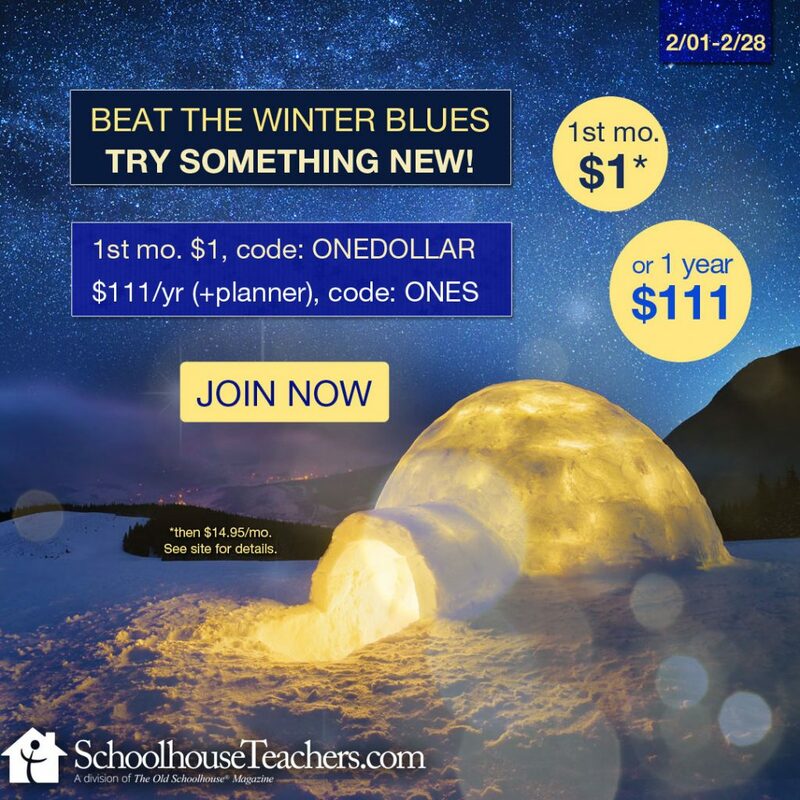 Visit Zeezok Publishing LLC Review post on the Schoolhouse Review Crew website to see what other homeschooling parents thought about this and other self-paced courses.